UNC Lineberger researchers led a study examining racial variation in the use of a gene-profile test called OncotypeDX, which is used to help doctors make decisions about adjuvant chemotherapy for patients. The researchers reported that the test has the potential to improve care quality, but disparities could worsen if it’s not equally accessible across racial groups. They found ODX testing for node-positive breast cancer was accessed less by black women than by non-black women. Their findings were published in the Journal of Clinical Oncology. 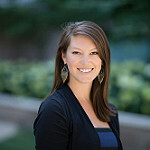 Stephanie Wheeler, PhD, a UNC Lineberger member and assistant professor in the UNC Gillings School of Global Public Health, was senior author of the study published in the Journal of Clinical Oncology.